This hermitage is nestled within a stunning stretch of nature. 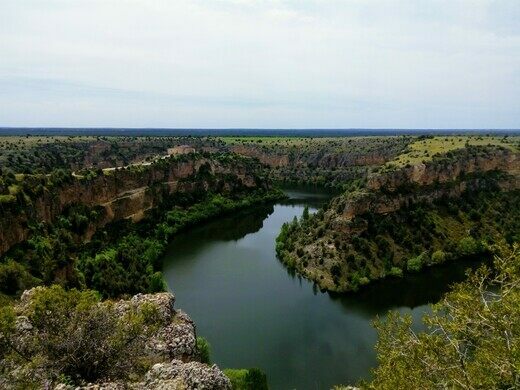 From there, you can gaze out across Hoces del Río Duratón Natural Park, where you’ll see a dark blue river winding through verdant gorges and moorland while griffon vultures soar through the air. Infamous and now demolished panopticon prison built by its former inhabitants. The place’s natural splendor is as breathtaking as its history is interesting. The area’s human history dates back to at least the seventh century. 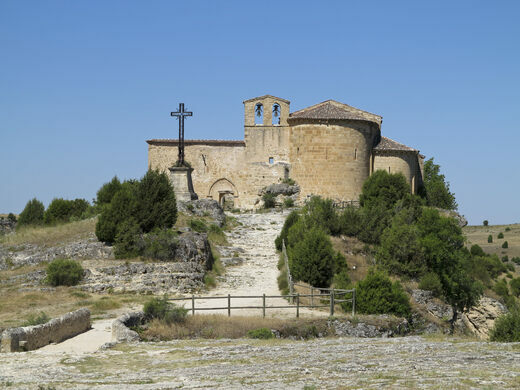 The spot is named for Saint Fructus, the patron saint of Segovia, Spain. Fructus and his two brothers were born into a noble family, but sold off their possessions and donated their wealth to the poor after their parents’ deaths. The brothers then retreated into the wildlands around the Duratón River, where they lived in separate caves as hermits and built a small priory. 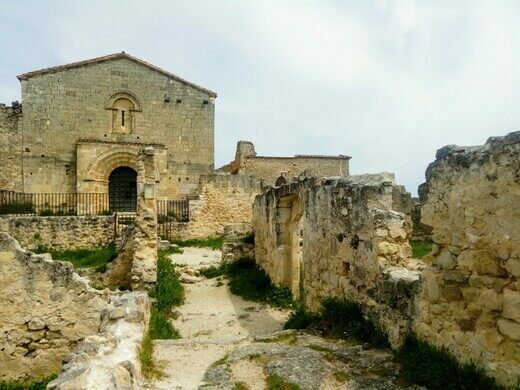 This current hermitage was built in the 12th century atop older Visigoth structures, the foundation of which is attributed to Fructus and his brothers. 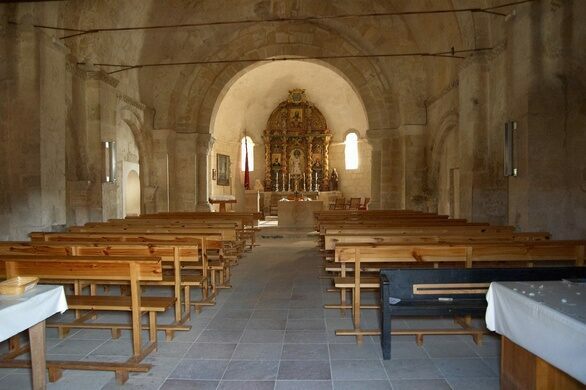 Construction continued in the 13th century, and the complex was again modified in the 18th century when a new chapel and altarpiece for the saint were built mid the ruins. The Hermitage is located in Hoces del Rio Duratón Natural Park, just outside Sepúlveda, Segovia. "Las Hoces" refers to the series of 100-meter-high gorges that were formed by the Duratón River. There's a parking lot about one kilometer from the ruins. A site outside Pedraza, Spain where a plaque tells a tale of seven-legged creatures that were said to have once lived in the area. A network of hundreds of interconnected wineries in caves hides under the town center.